The New England Patriots worked out wide receiver Eric Decker on Monday, ESPN reported. The Patriots are dealing with a depleted wide receiving corps. Kenny Britt and Malcolm Mitchell are both on the physically unable to perform list and offseason acquisition Jordan Matthews was unable to practice Monday due to an ailing hamstring. [post_ads]On Tuesday, the Patriots agreed to terms with offensive lineman Brian Schwenke. The 6-foot-3, 318-pound Schwenke started 30 of 57 games over his first five seasons with Tennessee. 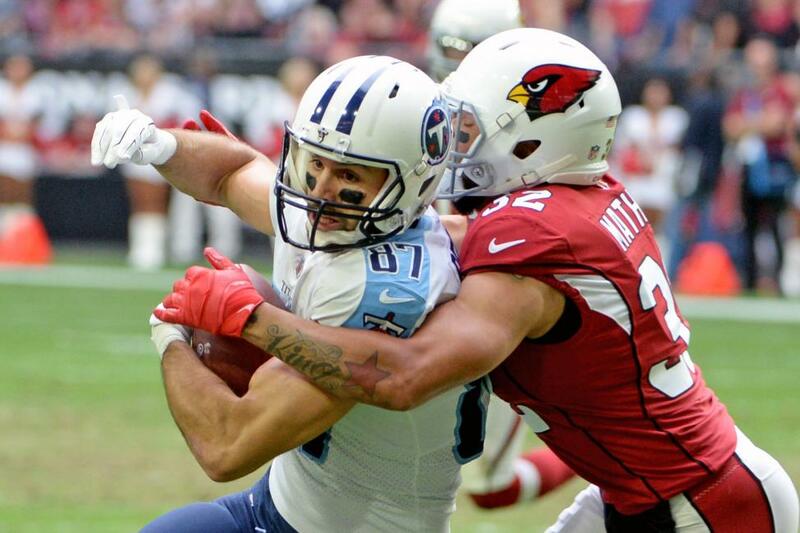 Decker had 54 receptions for 563 yards and one touchdown last season with the Tennessee Titans. It was his lowest touchdown total since his rookie season in 2010. The 31-year-old Decker has familiarity with current New England offensive coordinator Josh McDaniels, who was the head coach in Denver when the Broncos drafted Decker in the third round of the 2010 NFL Draft. Decker has eclipsed 1,000 yards and scored at least 11 touchdowns three times in his career. The eight-year veteran had 80 catches for 1,027 yards and 12 scores in 2015 with the New York Jets. Schwenke played at center for his first three seasons with the Titans while appearing in 32 games over the past two years at left guard, making five starts.